Why Choose Crommelins Power Equipment? 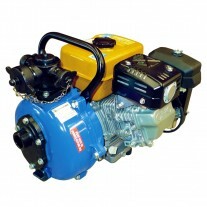 Crommelins Machinery has been building power equipment for more than 50 years. 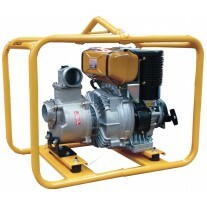 Today they sell over 40 different petrol and diesel powered Generators and they also build the highest quality power products including Water Pumps, Pressure Washers and other Trade & Outdoor Power Equipment. Built specifically for Australian conditions, Crommelins Power Equipment is powered by Subaru Industrial Engines and Genuine Honda Engines. The company is also the Australian distributor of the imported range of Subaru Generators, Pumps and other Subaru Industrial Power Products. 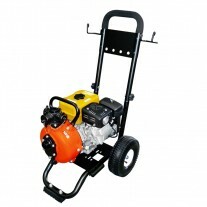 Crommelins Machinery has been a preferred supplier of generators and associated power equipment to the Australian Hire Industry for more than 40 years, recognition of their build quality, long life and performance. 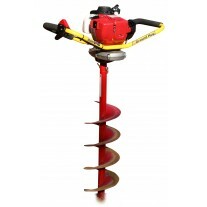 All Crommelins Machinery products are test run to specifications before delivery. 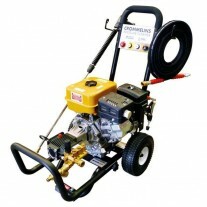 Crommelins products are backed by a 2 year manufacturer’s warranty. All Subaru Industrial Engines are covered by a 3 year warranty. Crommelins products are supported by an Australia wide, award winning spare parts and after sales service acknowledged as an industry best. 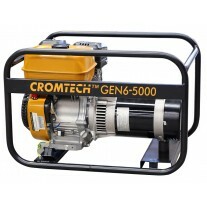 Their recently released Cromtech range of power products are a no-fuss, affordable option which are also backed by the national Crommelins support network - in particular, the Cromtech Outback 2400w Inverter Generator has proven especially popular with campers, caravan owners and for domestic power backup. Crommelins is a preferred supplier to the Hire and Rental Industry and they are multiple winners of the HRIA’s Supplier of the Year Award. Every Crommelins Generator is test run to design specifications before leaving their factory and are backed by a national network of spare parts, service and warranty dealers. Crommelins has an Australian wide group of accredited Service Agents who can look after any warranty or service issues for all Crommelins and Subaru powered generators. Crommelins prides itself on having an excellent spare parts and service backup, that can deliver to you within 24hrs, 95% of the time. Your order gets picked, packed, posted and is on its way to you the day the order is processed. Products are supported by: The Crommelins Website, Brochures, Call Centre, Retail Support Pack & Oil, Spare Parts, Videos and Product Manuals. 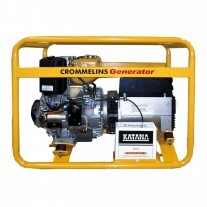 All Crommelins Generators manufactured in Australia are supplied with a Crommelins support pack. A complimentary bottle of high performance SAE 30 grade engine oil is provided with every Subaru Powered Engine.